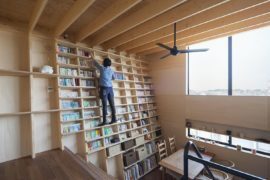 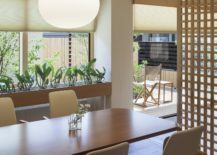 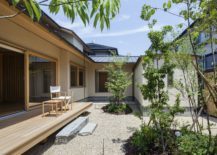 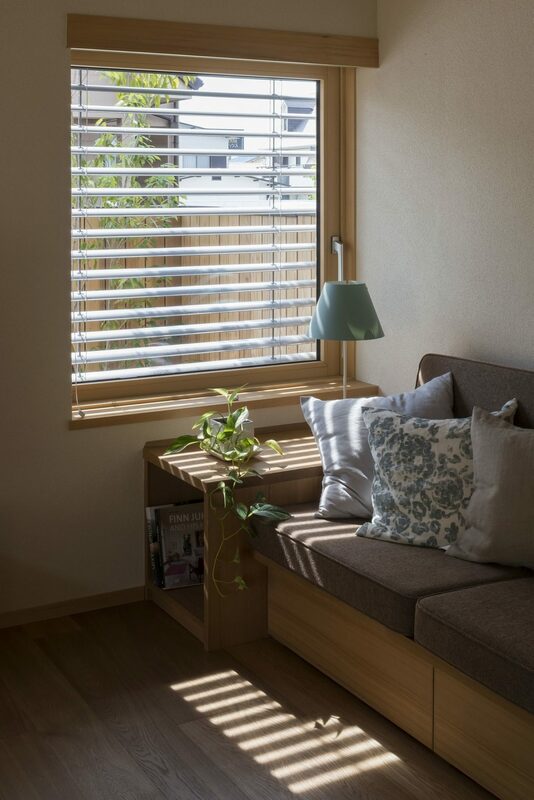 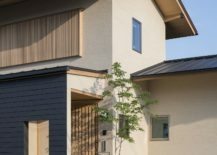 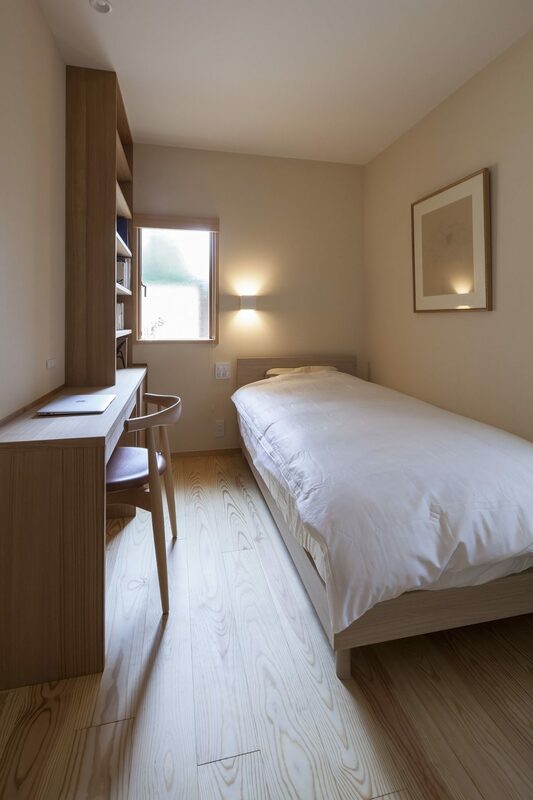 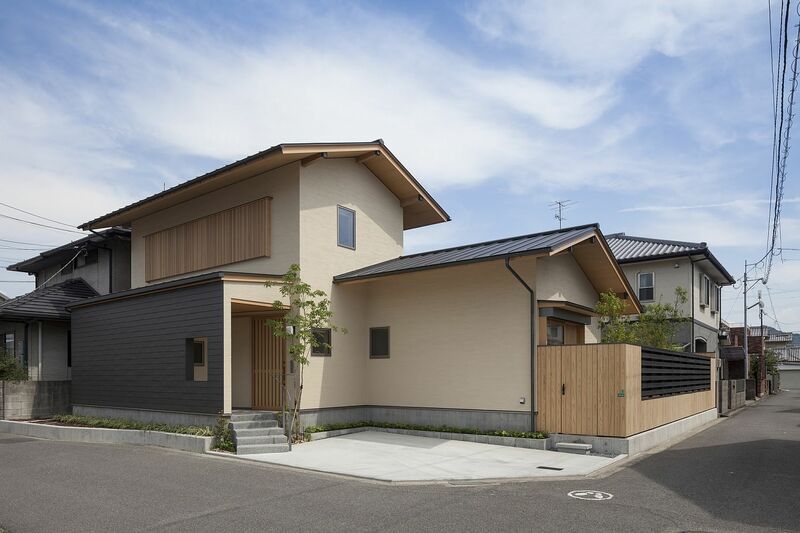 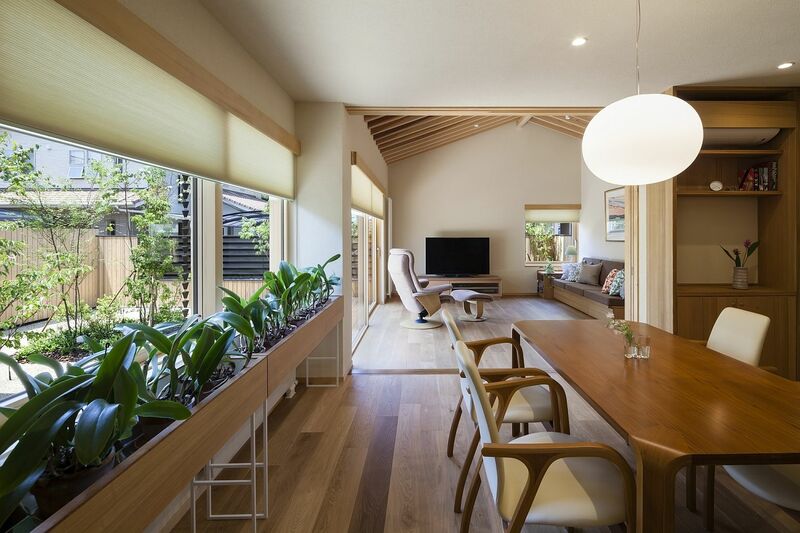 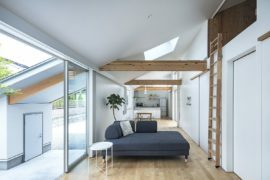 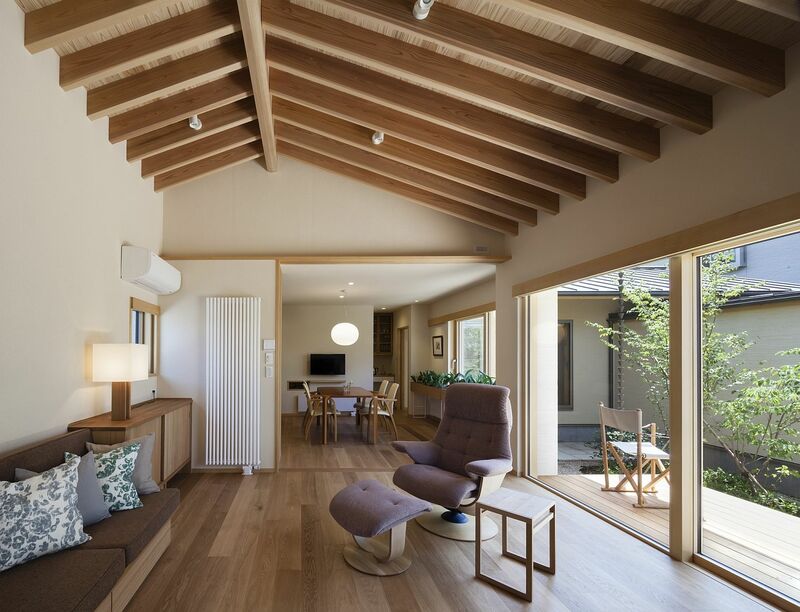 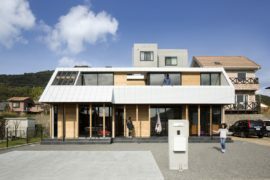 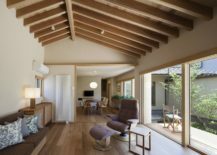 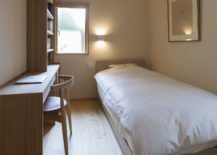 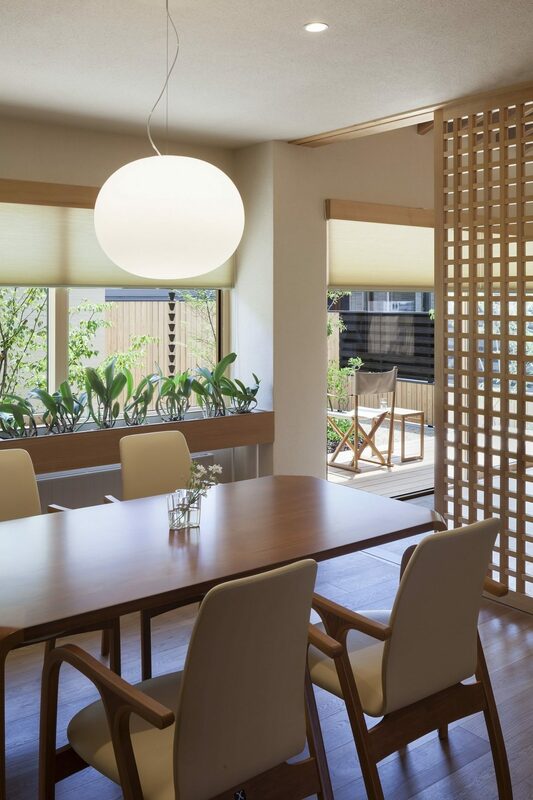 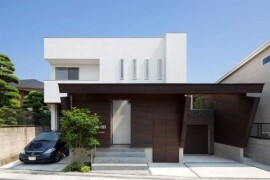 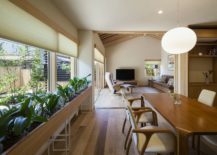 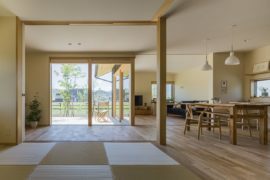 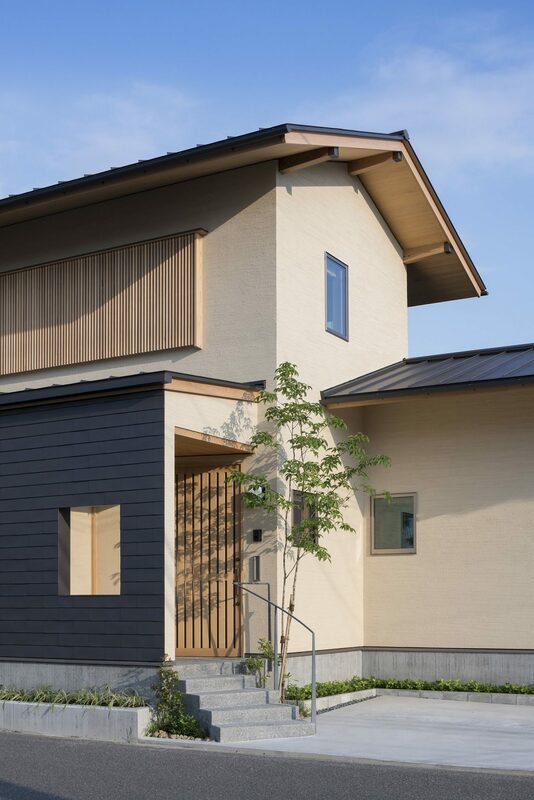 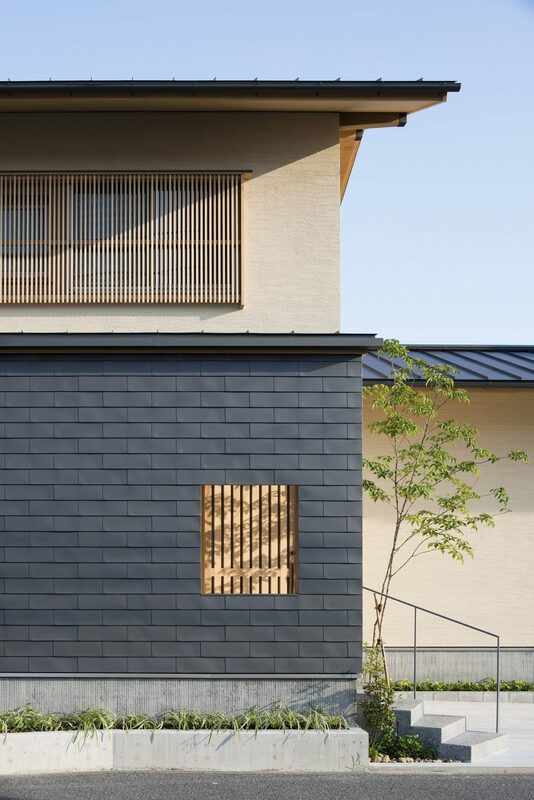 Elegant, uncomplicated and showcasing a blend of western aesthetics and classic Japanese design, A Warm Final Residence designed by Takashi Okuno perfectly accommodates the needs of its elderly residents. 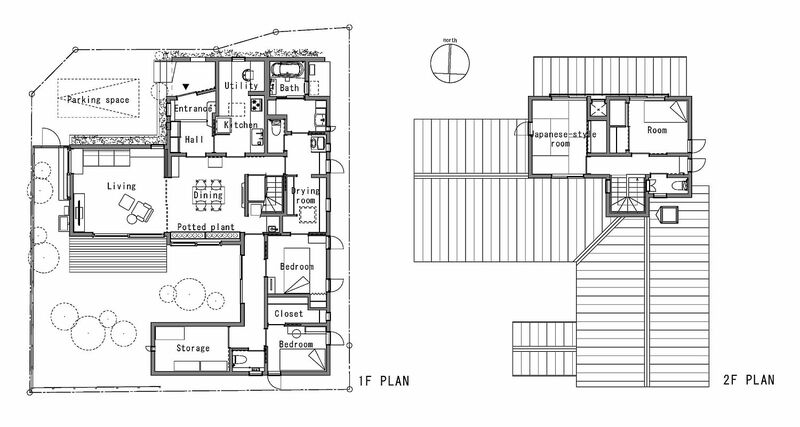 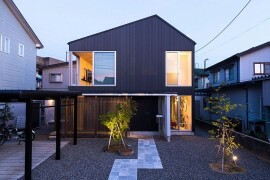 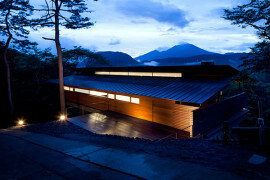 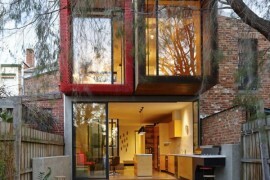 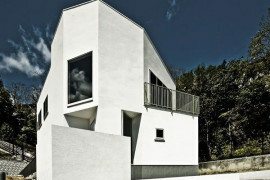 With a gray and white exterior, the exterior of the residence paints a contemporary picture. 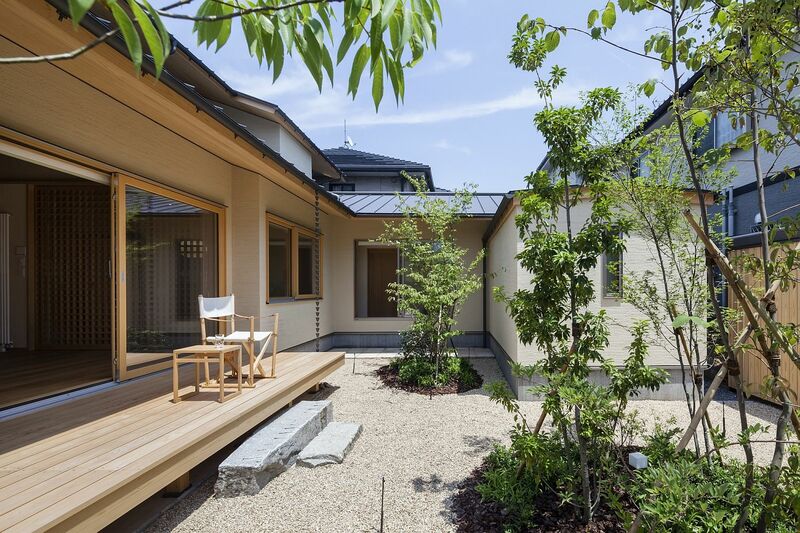 Step in and it is a more classic Japanese style that takes over. 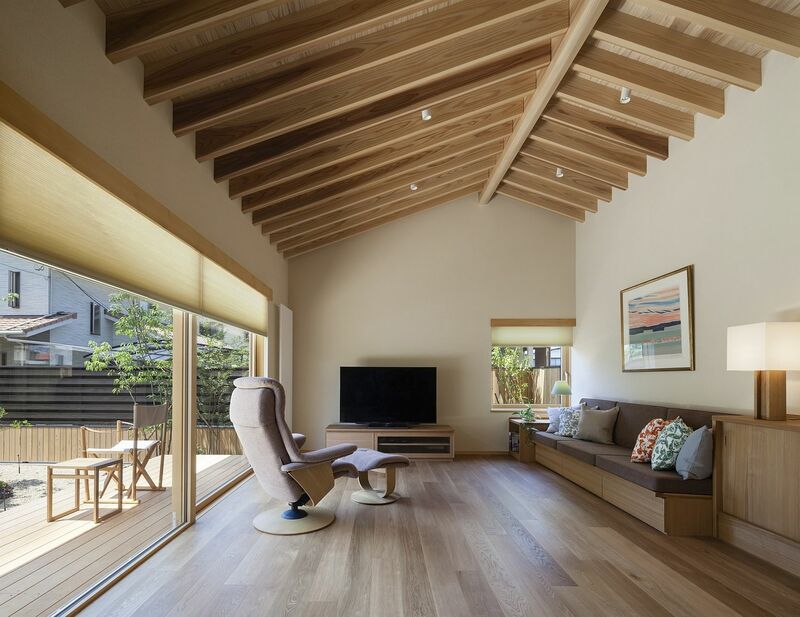 Warm wooden tones can be found everywhere with an open living area connected to the central courtyard outside. 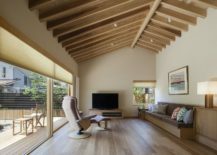 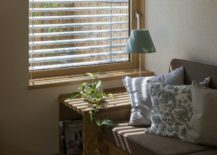 A small wooden deck extends the living room outside while sliding doors delineate space and offer privacy when needed.